Do you need a car in your gaming room? Of course, you do! Everyone does! I am talking about the racing simulator cockpits of course because every game needs to have a proper controller to get the maximum pleasure. Some of us love to play racing games; some don’t. When it comes to gaming, whether you like a specific type of a game or not, we can all agree on one thing: a game is much more fun to play if you have a proper controller to play it. This is a perfect example of that argument. Racing games are much more realistic if you are playing them using a Home Racing Simulator! If you do possess a racing cockpit in your home, you know what I am talking about — no better feeling than playing Dirt4 while you are sitting behind a wheel of your Cockpit. Read More: Top rated racing games to play. Even the gameplay itself is different! Now you have to include your legs in the game! You have to be active, instead of just playing an entertaining yet stressful game with only your fingers or thumbs, depending on whether you use the keyboard or a joystick. If you play a sword-fighting game, you want to use the Wii Remote; if you are racing, you want to use a racing seat simulator cockpit! Top 10 quality Racing Simulators in 2019: Get a gaming seat to play racing games! 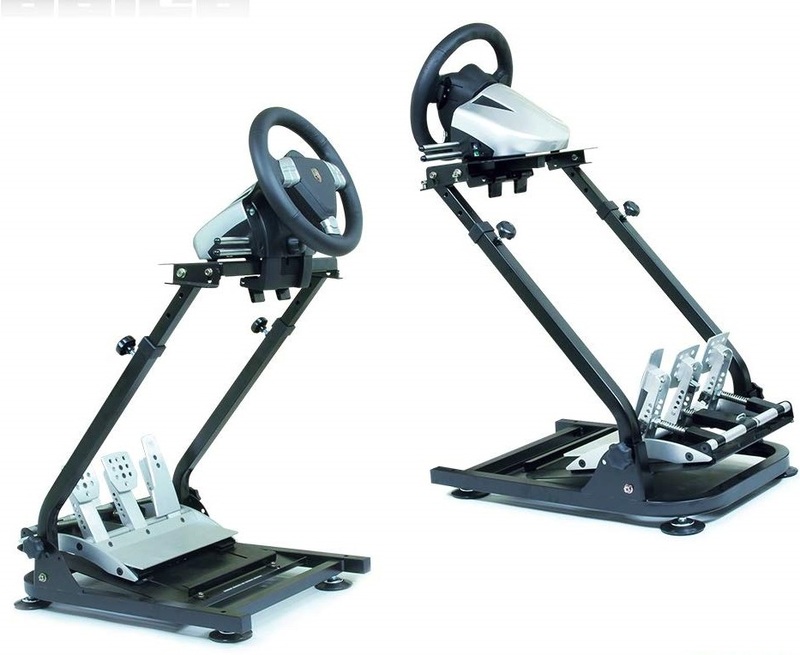 Vevor driving simulator is a fantastic option when it comes to racing specified controller! This amazing cockpit can be used as a racing simulator, but it can also be used as a flight cockpit. IT has a durable construction, so you know it will last for an extended period. The synthetic leather seating ensures the comfort while you play your favourite game. This seat can endure up to 330 pounds, therefore plenty of significant adults can use it freely! It is also compatible with PS4, Xbox One, PC or Wii U! There is no mistake when you choose this racing simulator! GTR racing Simulator takes a little bit of time to set up, but you will soon realise why. This is one of the best Simulator cockpits on the market, and it will be worth the time. It is a Racing cockpit that offers a unique and best driving simulation at the moment. The triple monitor mount offers some unique perspective for all levels, and it brings up reality into the game. It is also very light and easy to move around, though you will most likely want to keep it in one place, underneath you, the entire time. 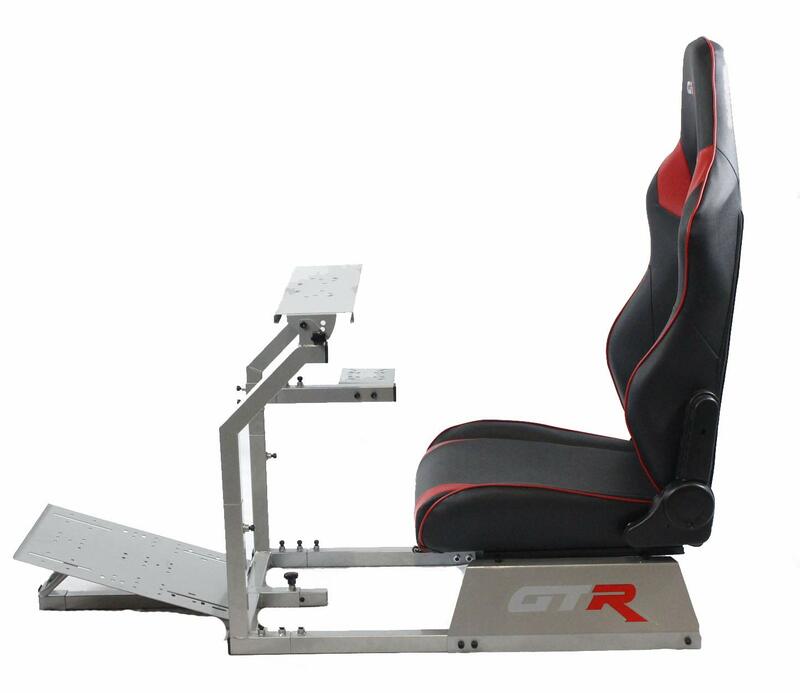 This high-quality racing simulator offers amazing stability! It is durable, yet flexible and convenient! 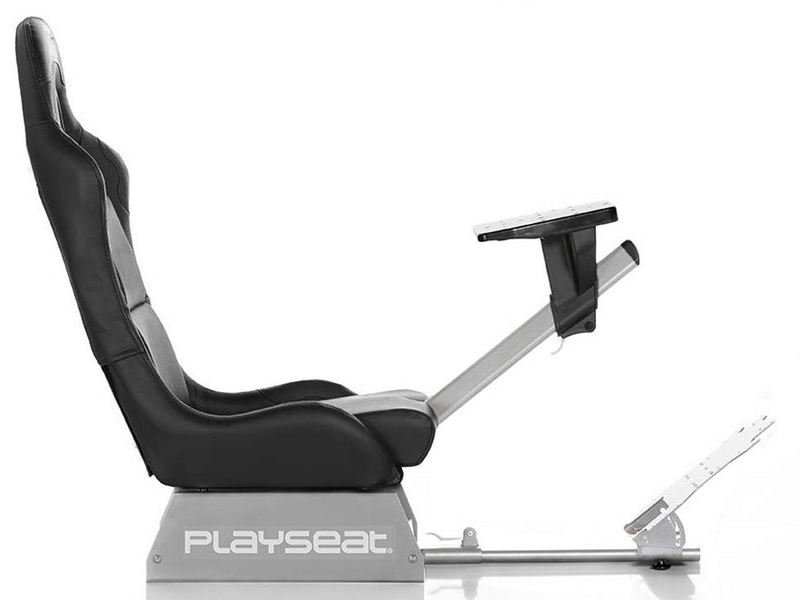 Playseat Revolution is a solid choice when it comes to racing simulator cockpits. It is recommended for both beginners and professional racers. The model is more substantial than some other models, but it is a sturdy, well made, beautiful looking seat for everyday racing! 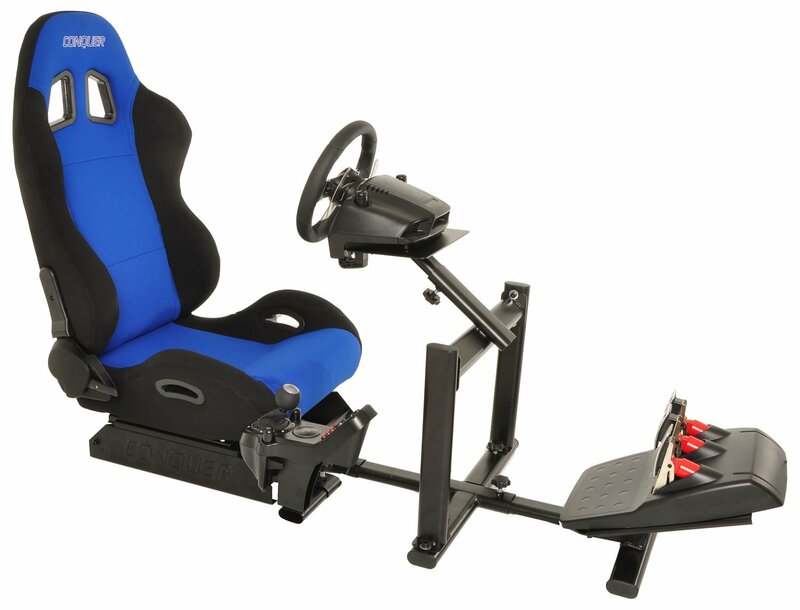 The price of this racing simulator could be a bit more affordable, but it makes up with adjustability and quality. It is one of the best mid-level cockpits available on the market today. Playseat models have always been high quality, and this unique cockpit is one of the best seats they have to offer. I use it myself! Another Playseat entry on our list, this cockpit is not as sturdy as it’s sister-seat, but still a fantastic option on a budget! 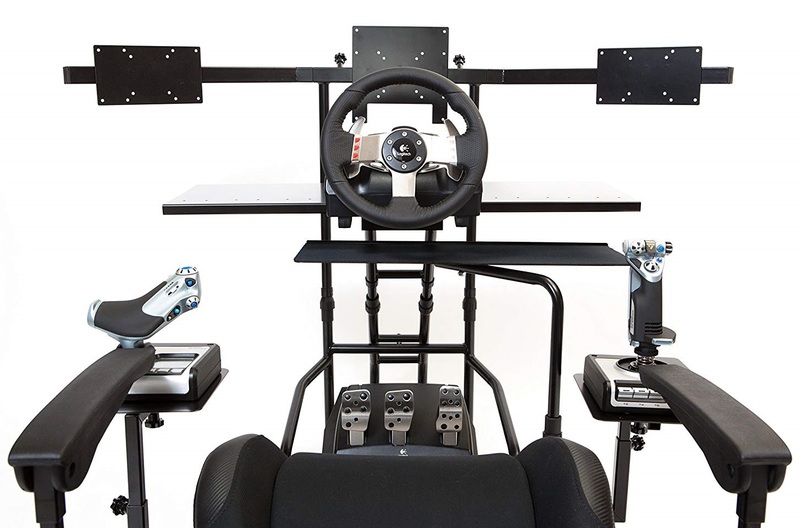 This racing simulator is a compact version that can be folded up if the need occurs. This option is perfect for people who live in a smaller apartment or do not want to have their cockpit out all of the time. The detailed instructions that come with this cockpit are another fantastic plus. It is super easy to set up and start playing. This racing simulator is almost plug-and-play controller. There are a few downsides to this simulator. One of it is that the wheel needs to be lifted to enter and exit the cockpit, and some people find it difficult to get in and out. This one is built by the same company as the number two on our list. It comes with options for 1 and screens depending on your desires. It is a fantastic cockpit with the beautiful field of vision that mimics a real racing automobile. It is not foldable as some of the other entries, where you put it is where you find it. It is sturdy and stable cockpit that won’t move around as you make steering moves, no matter how passionate you become. 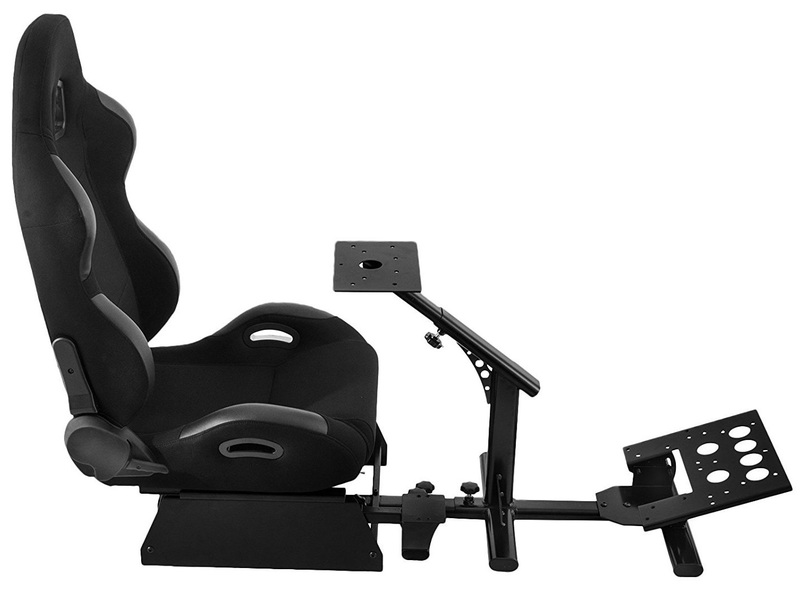 The adjustable reclining seat is another fantastic feature this racing simulator offers. It might be a bit pricey, but the quality you get for that price is well worth the cost. This cockpit is not for beginners, it is meant for people who take racing seriously. 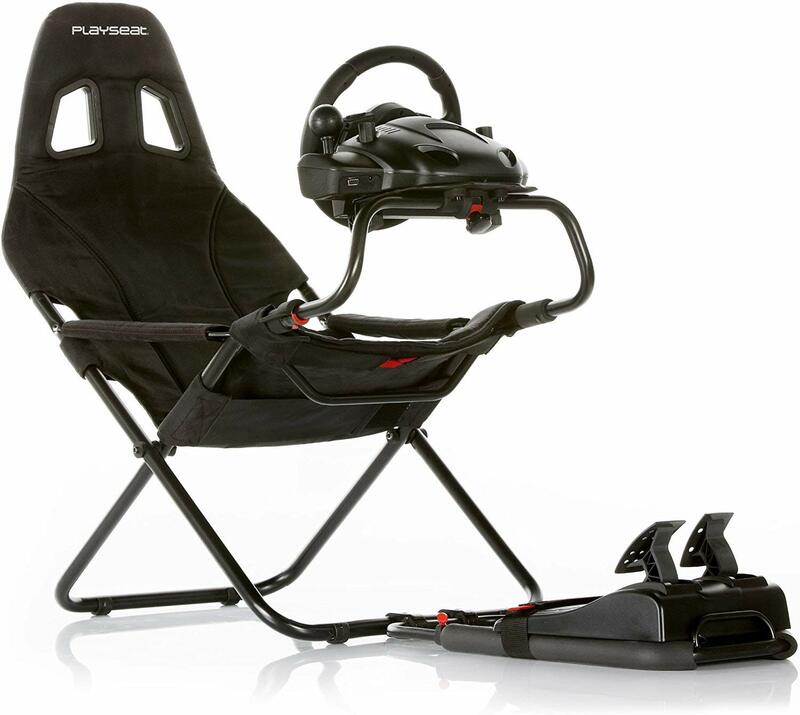 The specially made cockpit for formula one players, Playseat F1, is a perfect racing simulator for people who love those specific games. It mimics the seating of Formula 1 car or a similar open-wheel car. It is a preferred option for these games as it mimics them perfectly. It is costly, with the price of $1100, but the quality of the build well justifies the cost of this particular racing simulator. You will feel as if you were driving exact formula 1. It is one of few cockpits on the market with this design, and it is highly sought after by Formula 1 players. The downside of this racing chair is its size and limited adjustability, but people who enjoy formula1 will often see only the best in it. I have to say; this one is one of the best racing cockpits on the market only because of the adjustability and price combination. This cockpit has a three-point seat adjustment that is designed for every human on the planet and people who want to get their cockpit at affordable prices should consider buying BestEquip! The seat holds the pedals and wheel correctly while having your back straight. And you can easily store it when you are not using it.. it supports all the major consoles including pc, Xbox and ps4, so it is very adaptable in any way. Apiga features a unique design so you will have no trouble with any sorts of turns. It is compatible with most pedals and wheels on the market. APIGA has adjustable height function which allows the user to lower the seat to suit his or her needs and comfort. It is easy to fold and hassle-free to store away. 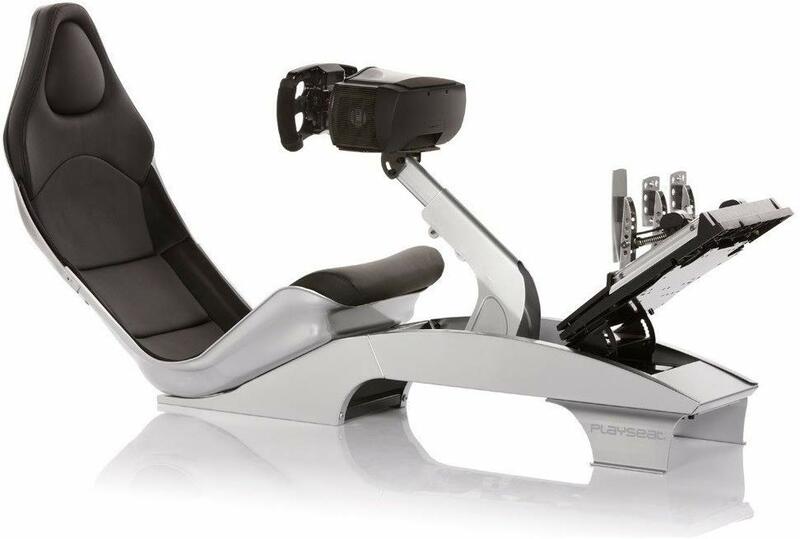 This racing cockpit is comfortable to set up and start playing with while still offering the feeling of an actual car seat and all of its controls. It is compatible with all of the major platforms such as pc, Xbox, ps4 and more, and it allows you to play your favourite games without spending much money on the seat. I tried using this racing cockpit a few months ago. Imagine sitting in a very comfortable car seat, waiting for the bell to tell you to go, feeling the thrill while your back is supported and straight. That is the feeling of driving in Conquer Racing Simulator Cockpit. It is one of the most comfortable cockpits I have ever used, and the price is well worth, even though it is not that expensive. The wheel mount is very adjustable, and with this racing cockpit, it is straightforward to find the perfect setup for your race. It is also very friendly to knees, and I like that since it is an essential factor of any racing cockpit. The best platforms for this seat are Xbox and PS4. Volair is the last entry on our list. It is on the pricey side when it comes to racing cockpits, but the quality is well worth it. If you are serious about racing, this is the racing cockpit you should use. This racing simulator features all the necessary features you need to be a pro racing player/driver, and you have to consider this cockpit at least. 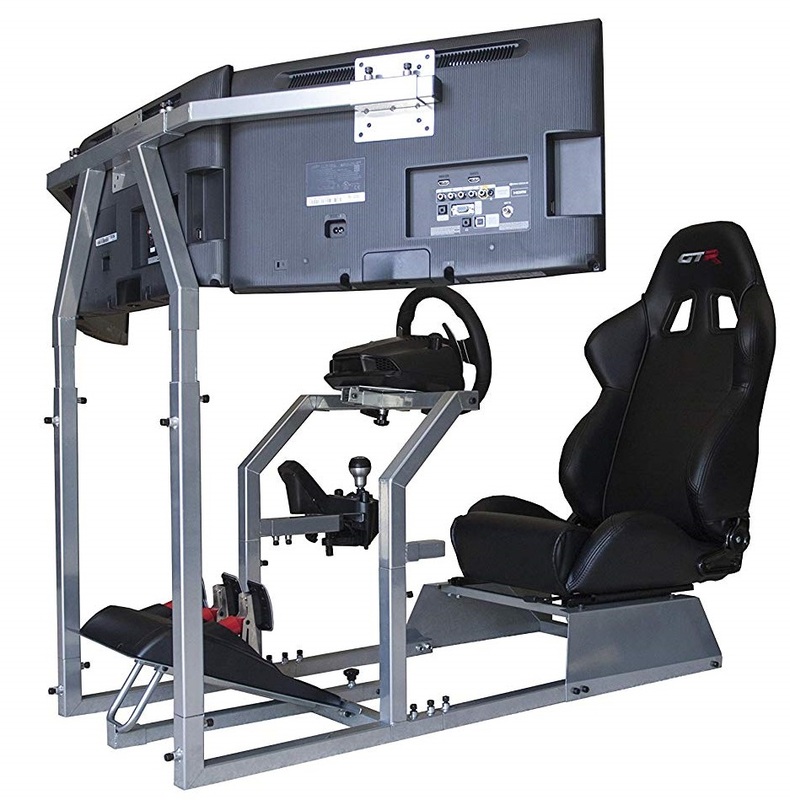 It is a fully adjustable and very comfortable racing simulator that also has a very durable frame, and you may choose how many monitors you want to mount up on this bad boy. No matter the budget you have, there will always be a racing simul; actor cockpit you can enjoy. 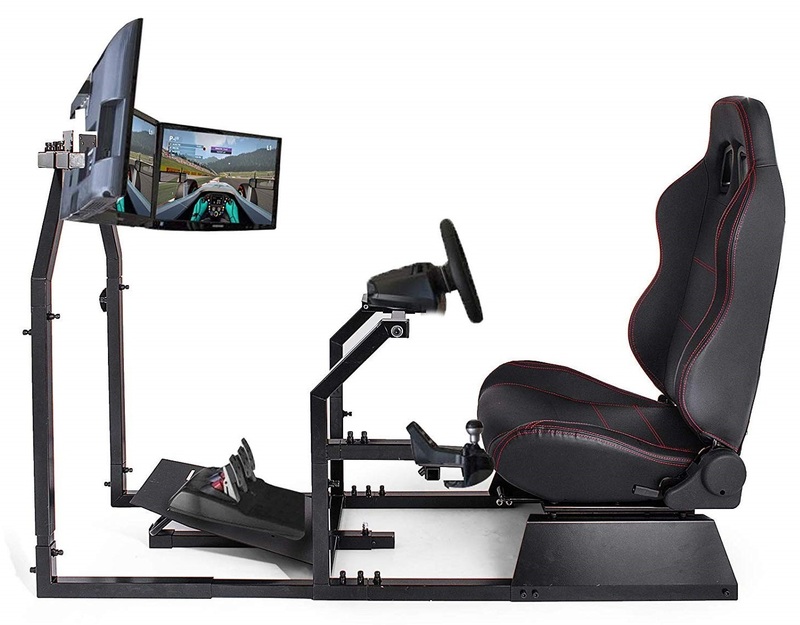 All of the players who tend to be at least a little bit serious about racing games should have at least one race cockpit for themselves. The racing cockpits multiply the fun you have while gaming, the feeling is much more realistic that it is on the Xbox or PS4 controller and your productivity will be much higher in time. The cockpits we have on our list are in no particular order but are amongst the best cockpits on the market with varying prices for every single racing gamer. Hope you enjoyed our list of the top 10 racing cockpits! Take your time to find out which one would be your favourite when you add up the quality, comfort and the price of each simulator!